Each person is unique. GROHE Tailor-Made Showering celebrates this uniqueness and variety by letting you design your shower according to your own vision of rest, relaxation, regeneration, personal care, design and comfort. For a daily spa experience as individual as you are. Have a picture of your dream shower in your head? 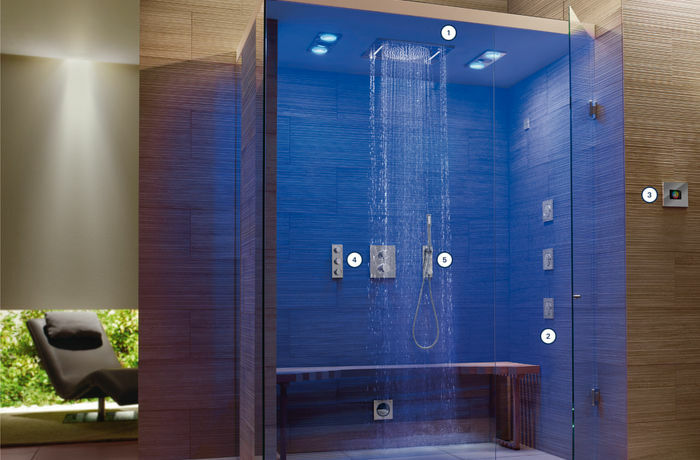 Make it a reality with GROHE Tailor-Made Showering. Our unique head showers are all equipped with GROHE DreamSpray® technology for optimal water distribution when showering. For an all-over sensation – with our additional side showers, you can enjoy a 360° showering experience with sprays from the right, left, top and bottom to pamper your body. 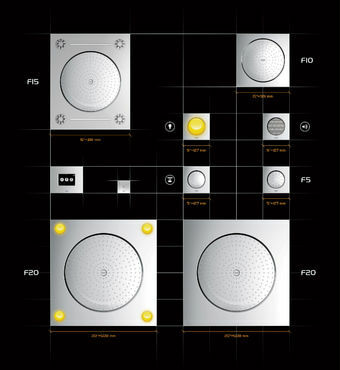 Transform your shower into your own personal spa with F-digital Deluxe and enjoy atmospheric lighting, soothing steam and your favourite music. Whether mechanical or digital, with our thermostats you are always in control when showering. And GROHE TurboStat® technology means that the water temperature always remains constant, even if the water pressure suddenly changes. From the simple beauty of the GROHE Sena to our latest innovation, GROHE Power&Soul®, with our hand showers you have everything you need for the perfect shower, every time, right at your fingertips. Picture going to a tailor to have the perfect suit or dress made. You choose the colour, the fabric, the cut. And you end up with exactly what you imagined. The basic idea behind GROHE Tailor-Made Showering is the same: we want your shower to be tailored exactly to you – your wishes, your needs and your preferences. From the right light to the perfect showers and the optimum arrangement of the fittings. With our integrated design, GROHE Tailor-Made Showering offers flexible and tailored installation and combination options – regardless of the design, the installation conditions or the budget.